Bluehost is the top domain name and the WordPress hosting provider. Here, You will get Bluehost discount coupon code for discounted price of Bluehost web hosting. Start your own WordPress blog with a Free Domain Name and 60% discount price for Bluehost Hosting. If you want to start a blog and make money, Start today and save 60% money with our discounted price. Do you need a hosting with a huge discount and a free domain name? Then you are at right place. Bluehost is the top domain and hosting provider company recommended by WordPress organization. WordPress hosting of Bluehost comes with unlimited bandwidth, which helps your blog at the time when it gets more traffic. FTC Disclosure: At Tutorialdeep, we believe in transparency for our users. In this blog, there are some referral links. If you signup with these links we will earn some commision with no extra cost to you. We recommend these links because these are our trusted brands. Grow your business with the lowest cost and a Free domain. Free domain name: Bluehost provide one free domain name for one year. Unlimited bandwidth: Bluehost comes with an unlimited bandwidth which helps you handle large traffic. Unlimited disk space: You will get unlimited disk space to create your blog posts. Host unlimited domains: If you select plan other than basic plan, you can host unlimited number domains with Bluehost web hosting. 24*7 customer support: Bluehost has an expert team of WordPress that helps you with the problems you face with the hosting as well as coding. Unlimited email account: Get an unlimited email account and space to store your emails on the server. 1 click WordPress installs: Install WordPress software to your hosting with just a single click. This is the best feature you can use to start your website in minutes. 99.9% uptime Guarantee: This helps your website at the time when you get large amount of traffic to your WordPress blog. Not yet convinced with the offer? 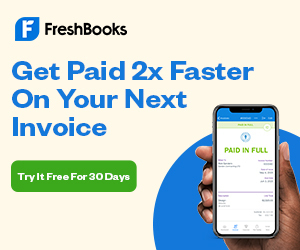 Grab our bonus offer below. Once, I get all these details, I can start setting up your WordPress blog. The setup process will take 24-72 working hours. Also, you can send me details, email me at info@tutorialdeep.com. Note: I will not keep any of the forwarded Bluehost web hosting information send from you. Once I complete your blog setup, you can change all your Cpanel password for its security purpose. So, I think everything is clear to you now, what are you waiting for? Just start your blog immediately. This is the lowest price ever with free domain name for 1 year. click ‘Get Started Now’ to select a basic plan. Select the basic plan if you are a beginner. A basic plan allows you to host one website. If you want to host more than one domain, then plus plan is the best plan you should buy. Enter your chosen domain name in the given input box and select the extension (like.Com, net, etc.). If you have a domain name you can put it in the other right side input box to host. Put all your account details in the form fields. Enter your first and last name, the business name is optional. Now give your address details, your phone number, and email where you want all your hosting Cpanel details. select the account plan for three years to get it for $3.95 per month. This is the best discount for you to buy a hosting. Leave all other fields unchecked. Make payment by credit or debit card. You can pay with your PayPal account also. To pay with your PayPal account, click ‘more payment option’ link and pay your amount. Bluehost is the trusted and recommended web hosting by wordpress.org. You will get even more with a small price of Bluehost web hosting comes with free domain name. It comes with 1-click WordPress installation and anytime money back guarantee. If you think, you are not satisfied with the hosting; you can get all your money back. Therefore, you needn’t worry about anything. If you are planning to start your blog, then get our bonus free blog setup service. In Bonus service, we will setup and make your blog live. You just need to start posting your article after the setup is complete by us. If you have any query than mail to tutorialdeep email id feedback@tutorialdeep.com. Feel free to comment below and share this to your facebook and twitter friends. 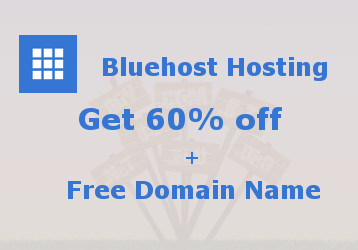 60% discount on Bluehost hosting is the decent offer to start a new site for your business or blog, because it comes with a free domain name. So, a another saving for our readers to start their own blog.